If you are looking for a vehicle for the family, one thing that you are going to have to think about is the LATCH test. After all, you are going to have to attach the baby seat to the vehicle. The LATCH test will let you know important pieces of information. One thing that you have to look at when it comes to LATCH is the ratings that are assigned. The ratings will give you an idea on how hard it is going to be to attach the car seat. 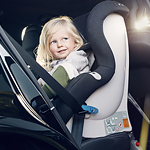 It will also let you know if you should choose a different vehicle for easier car seat attachment. Among the factors that are looked at with the LATCH test is the ease of access when it comes to the lower anchors. The LATCH also evaluates the force of the latch. There are other factors that come together to gain the rating.